The Tarot cards for today are the Hierophant and the Ace of Wands. The Hierophant card relates to religion/spirituality. Each one of us expresses our spirituality in different ways. Many people look to others (hierophants) for advice and guidance. This is one of the ways we learn — by listening to the teachings and experiences of others. However, what’s right for someone else may not be right for you. it is important to listen to your heart when it comes to other people’s teachings. 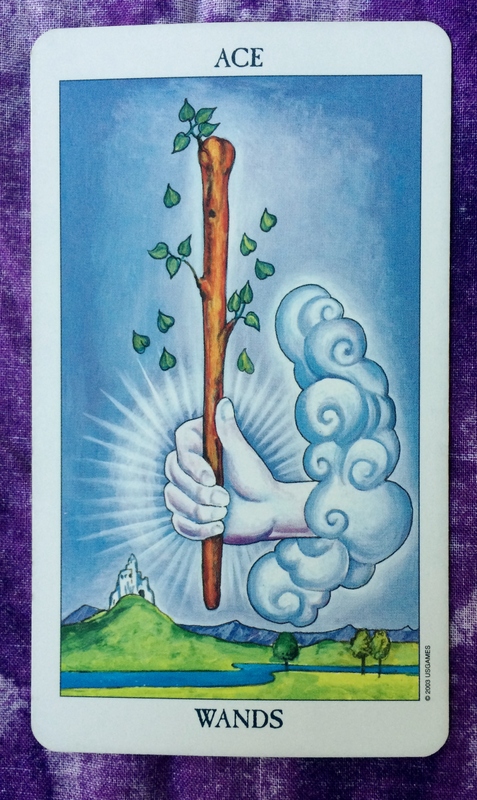 The Ace of Wands represents the energy of beginning anew based on your passions and what excites you as an individual. So take a new look at your spirituality: Which teachings still resonate with you and which don’t? Which rituals feed your soul, whether it’s Tarot, astrology, prayer, church, mosque, synagogue, daily meditation, working with crystals, lighting candles, exercising, something else, some combination, or none of the above? How has your thinking changed over time? How has it stayed the same? Are you interested in trying something new? As we approach the new moon on Sunday, this may be an opportunity to think about the traditions you wholehearted believe in and which of your spiritual practices/beliefs are no longer fulfilling. Maybe it it time to finetune your practices to line up with your new ideas. This is how we learn. This is how we evolve. 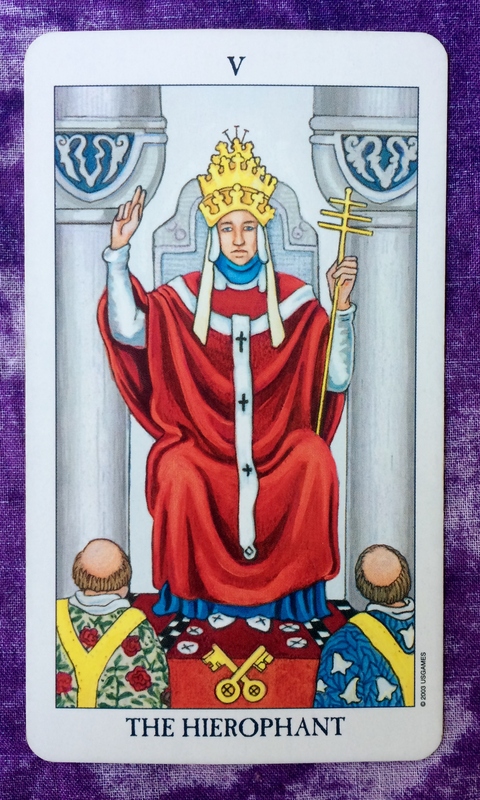 The card for today, Saturday, and Sunday is the Hierophant. 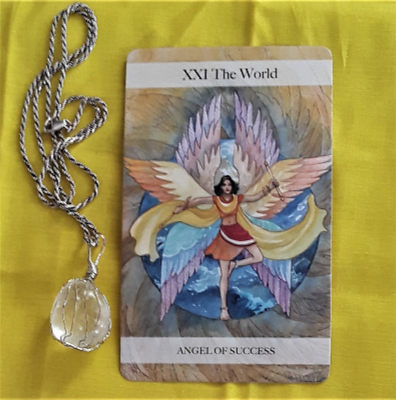 Coming after yesterday’s card, which indicated a major new beginning, I now see that this new beginning is of a spiritual nature. You are forming your ideas about what you believe in. While some of you are becoming more involved in a specific religion or church, others of you are breaking away from traditional religion and coming up with your own unique way of spiritual practice. Whether you are becoming more traditional or you are breaking away from tradition, whatever feels right to you is valid. So stand up for what you believe even though others may criticize you for it. You may feel the need to seek out people who think like you and therefore join a group or organization. You may seek out a mentor for advice or else you could find yourself being a mentor for someone else. Also, this may be a perfect opportunity to establish a routine of spiritual practice, such as mediation, whether it’s a few minutes a day or even just a few times per week.